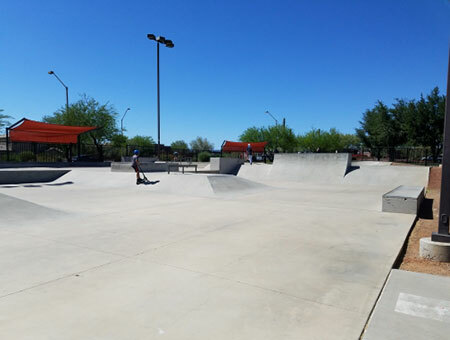 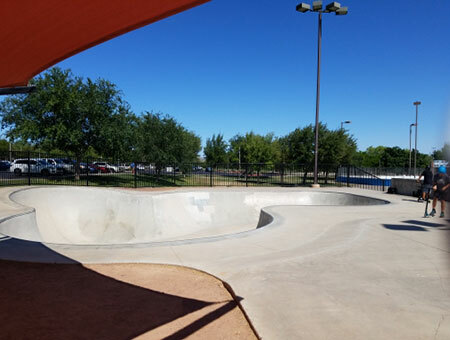 Skate park offering 14,000 square-feet of concrete skating with a 1,500-square-foot bowl, six feet deep. 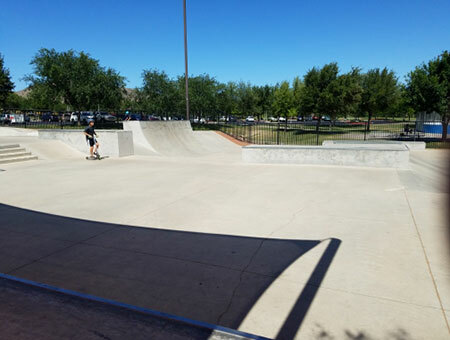 It has several grinding rails, jumps, and a couple of high banks. 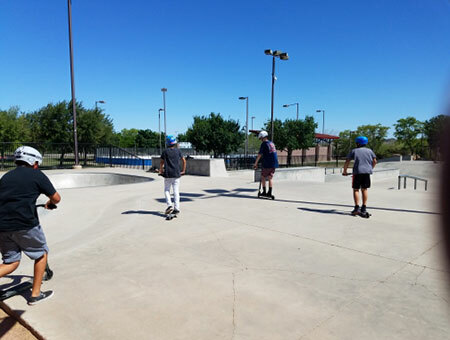 Pads and helmets are not required, but strongly recommended. 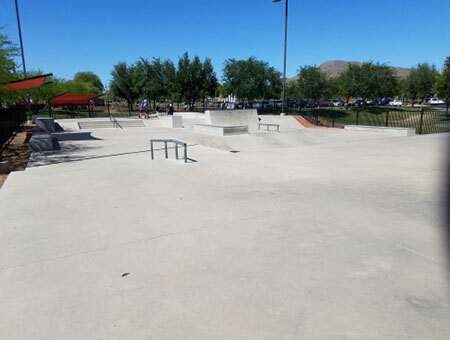 Skatepark is for skateboards and rollerblades only.